One thing you need to know about me is that I love jumpsuit, well that is, if I find one that fits. 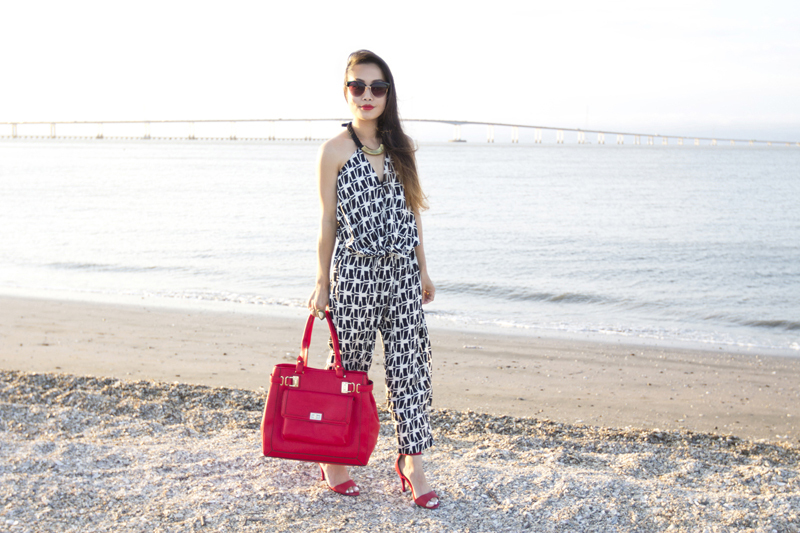 This convertible jumpsuit by Tbags Los Angeles might be my favorite piece this summer! The print is eye-catching, the silhouette is easy breezy and I absolutely love the halter details that looks like a necklace! It is also a great piece for transitioning from day to night, pair it with sandals during the day and style it up with heels at night. 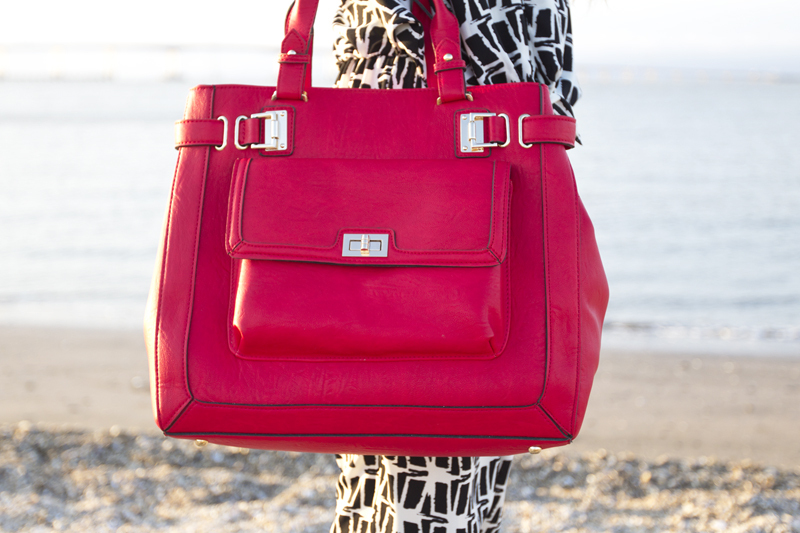 Here I added a red oversized shopper and heels to give the look a pop of color. Lastly, thank you Tbags Los Angeles for customizing this jumpsuit for me to fit my petite frame! Convertible jumpsuit c/o Tbags Los Angeles. 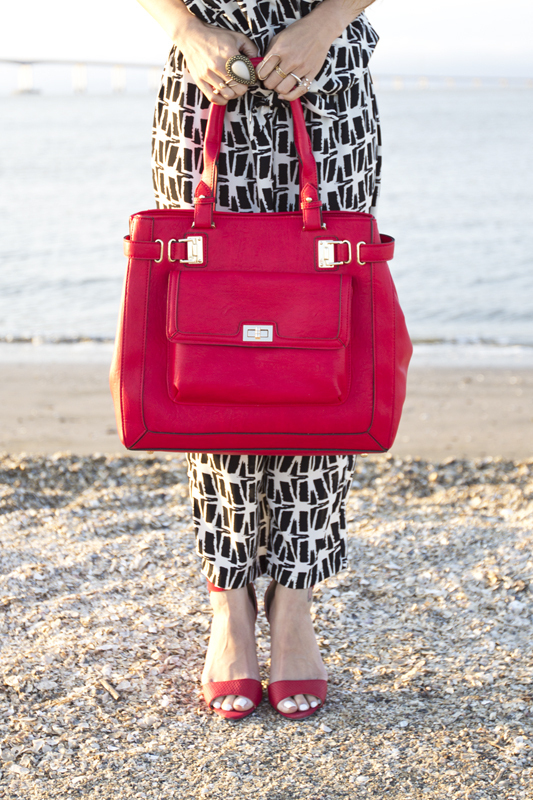 Mirren large shopper c/o Sole Society. Red ankle strapped heels by Qupid. Wow, stunning outfit! Love the photos too! The beach is so magical! This black and white jumpsuit is amazing. I absolutely love the red accessories paired with it. It looks fantastic on you!